Rent-All Plaza of Kennesaw is the leading provider of quality power tool and party rentals in Kennesaw, Georgia. 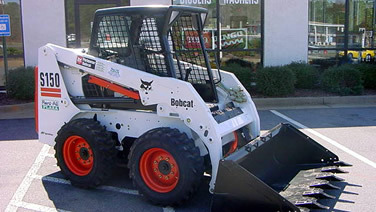 We proudly serve residents and business owners with a large selection of rental products. With over two decades of experience and premier customer service, you can always count on quality service and reliable products when you rent from us. 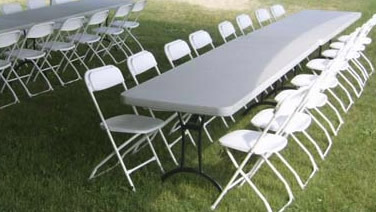 We supply only the best tents, tables, and chairs to make your event perfect. We even have specialty linens, chair covers, and sashes for formal events like corporate gatherings, company parties, and weddings. Moreover, we provide an aesthetically stunning scene with a dance floor, staging options, and varying fountains. Refrain from purchasing expensive tools that you may end up only using once, with our rental services. We rent out a variety of power tools like trenchers, pressure washers and generators for major repairs, renovations or cleaning projects. We carry an extensive inventory of useful power tool rentals, including loaders, backhoes, aerators, and more. Simply browse our inventory for what you need, as we’re sure to have it! 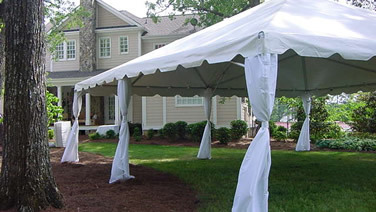 Rent-All Plaza of Kennesaw offers many different size tents, whether you are planning a large wedding, corporate event, or small backyard party. We are here to help, call or email us for a free quote. We will help design the perfect tent for your event. We also offer additional décor such as side walls, pole drapes, chandeliers, string and globe lighting, and up-lighting. Reserve your tent today. Party rental rates are based on a single day event and generally allow for pick up one day prior to the event and return the day following the event. Is there a charge for Delivery & Setup? Yes, Delivery & Pick up charges are based on mileage; we require a minimum of $100 rental order. Normal Delivery charge is to ground floor only. On Delivery, all Rental equipment such as tables & Chairs will be neatly stacked in designated area. Set up and Take down services are available at an additional charge and must be arranged in advance.